I find it frustrating when really interesting documentaries are shunted into a late-night slot in favour of dull dramas or reality shows. If you missed "JUST CALL ME MARTINA" (BBC1) you missed a warm and engaging profile of the legendary record-breaking tennis star who grew up in Czechoslovakia and made her home in the USA after defecting there. Martina became a non-person in her home country but these days she has joint US and Czech Republic citizenship and returns regularly to visit the area where she grew up. Despite political hard times, Martina still reflected on her upbringing with positivity: "I was never hungry, I was never cold" she said, with a smile. This documentary began with Martina marrying her partner Julia in New York. Martina found her identity as a gay woman in a time when such things were swept firmly under the carpet; since that time she has become an activist for gay rights and many other causes. This documentary revealed her warm sense of humour and likeable personality. 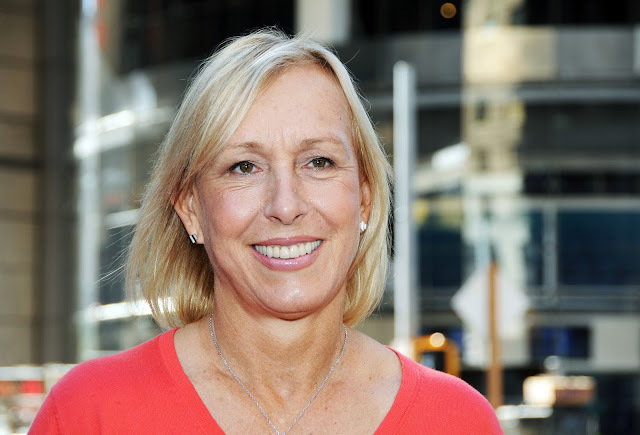 Martina's achievements in tennis made her one of the greatest female athletes of her generation. "EAT WELL FOR LESS" (BBC1) is back, and it hasn't changed. It's an insult to viewers who struggle to put food on the table, watching comfortably well-off home-owning families being asked to chop their own veg and grate their own cheese - aww, shame - to save money. And it's all overseen by the eternally irritating Gregg Wallace. The message of the show remains that you don't have to buy big brands to eat well - it's just a very patronising hour to endure before you get the message. Just a few weeks after Carla Connor departed the cobbles, "CORONATION STREET" (ITV) said goodbye to Kylie Platt, fatally stabbed by one of Callum's old mates. Unfortunately ITV scored an own goal when they gave away their own spoiler. I'm really sad to see Paula Lane leave the show as she made Kylie one of the show's best characters, turning her from an initially unlikeable chav into a multi-layered character, unlike many of the show's one-dimensional characters who take up far too much screen time on the show. There are big changes happening in Corrie world. A new producer, Kate Oates, has taken over from Stuart Blackburn. She's promising more big storylines and interestingly, more character interaction. The show is also going up to 6 episodes a week from 2017. Too much of a good thing? I remember when it was only on twice per week. Changed days. Not sure what the point of "LOUIE SPENCE: TAXI DRIVER" (Sky One) was, apart from giving him a week's trial as a taxi driver and some much-needed screen time, but Michael Buerk's narration was priceless. Michael of course narrated My favourite moment was when the wrestling boss "was having second thoughts about Louie entering his ring". You can't beat a bit of innuendo. And let's face it, we certainly need a few laughs after some very dark months in this country and the world. The path of true love never runs smooth though, as they say, and when a marriage or long-term relationship breaks down there can be some issues which both parties just can't resolve. Bring in the mediation service. Fly-on-the-wall documentary "MR V MRS: CALL THE MEDIATOR" (BBC2) was uncomfortable viewing at times, watching separated couples discussing their troubles on camera. There was something about it all which left a bit of a bad taste. And I certainly don't envy the mediators their jobs, trying to resolve the often un-resolvable. When it comes to 1960s retrospectives, 1967 gets all the glory: but over the past couple of weeks, some TV shows have focused on the year before that. Apart from being the 50th anniversary of a certain team winning a certain football tournament, 1966 was profiled in "ARENA - 1966: 50 YEARS AGO TODAY" (BBC4). I always enjoy this retrospective type of show but the same things keep cropping up time after time. This documentary for me was refreshing as it provided a genuinely interesting insight into a year which I didn't really know much about beforehand. Another 50th anniversary was celebrated in "CLASSIC ALBUMS" (BBC4): it's been 50 years since the Beach Boys' legendary "Pet Sounds" album was released. This was a great documentary going behind the scenes of the album's recording and the band's evolution from making lightweight pop songs about surfing, to ambitious, layered productions with honest, mature lyrics. 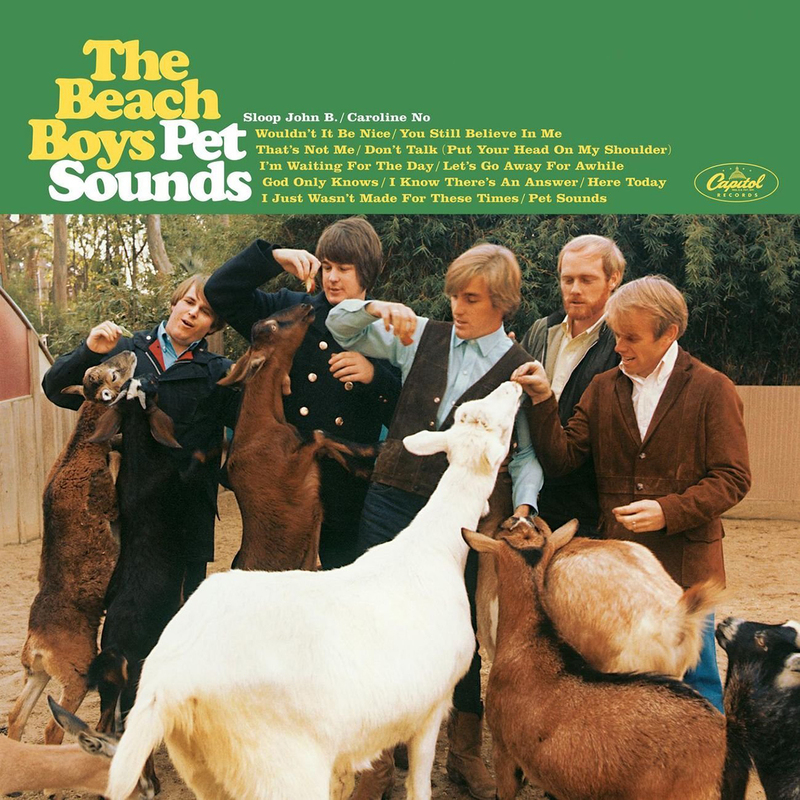 "Pet Sounds" remains one of the most important and critically acclaimed albums in the history of pop music. BBC4 does these music documentaries so well. This month we were also treated to another episode in the occasional series "THE PEOPLE'S HISTORY OF POP". This time it was Danny Baker's turn to look back at the period between 1966 and 1976, a landmark period for music. Baker mixed his own reminiscences with those of the fans who bought the records and went to the concerts. More please! Documentary event of the month though? "ONE NIGHT IN 2012" (BBC1) rewound to exactly 4 years ago, with the story of that fantastic opening ceremony imagined and directed by Danny Boyle. I remember that I wasn't really looking forward to the London Olympics 4 years ago, but then that opening ceremony happened, and the feelgood factor lasted all the way throughout the event. 4 years on, the Rio Olympics are due to start at the end of this week, and yet again I'm not really looking forward to it, what with the terror threat, the Zika virus and the Russian doping scandal. But given the world's current state of gloom, we need something to cheer us up. Over to you, Rio! From the sublime to the ridiculous: just when you thought TV had plumbed all possible depths, along came "ALAN CARR'S GREASE NIGHT" (Channel 4). The 'chatty man' and his co-host Katherine Ryan promised an "entertainment extravaganza" set in a 1950s prom. What we got instead was one of the most critically slaughtered TV shows I can remember in a long time. Now I'm usually quite a tolerant person but I switched off after 30 minutes. 29 minutes too late. Why Didi "Frenchy" Conn agreed to be part of this is beyond my understanding. Less greased lightning, more car crash. Hopelessly devoted? Nah, just hopeless. There was a good programme waiting to be made about "Grease", one of the best films ever made, but this wasn't it.